The economic development of a country depends on the extent of her industrial development. At the industrial level, this development depends mainly on the prevailing technologies of that country. Chemical technology thus has a unique role to play. A country should determine which of the various available technologies are most suitable for her. An important role is being played by the glass industries of bangladesh. As such topics such as glass and its properties, its various manufacturing process as part of the 3rd year curriculam of the deptertment of Applied Chemistry & Chemical Technology. We the students of 3rd year of the Applied Chemistry & Chemical Technology department were taken to visit Nasir Glass Industries Limited on the 25th february’2009 as a part of our study tour. Nasir Glass Industries Limited is the 2nd highest glass sheet factory of our country. It is a subsidiary of bangladesh chemical industries corporation(BCIC). Nasir glass sheet factory produces 250 tons per day of sheet glass. 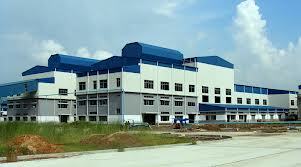 Nasir Glass Industries Limited is situated in the industrial area of vhaluka, mymensingh. Which is a few kilometers from gazipur by the side of the mymensingh road. Date of commissioning: The company was incorporated as a private company on 2005. However, the date of commissioning is officially july 20, 2005. Initial investment: 112 crore taka. Present value: Above 500 crore taka. Total area of the enterprise: 150 bighas. Man power / work force: The number of personnel associated with this factory is 600. The workers work in 3 shifts. Most of the raw materials are available at the local market(above 80% of them). The factory site is well communicated by high way roads. Raw materials and finished products are carried by trucks. Jaw crusher and Hammer crusher. There are no particular by product or co-products of this industry. The waste glass is reused as cullet. Which is added along side the other batch section materials. Glass is defined, physically as a rigid, under cooled point and at a sufficiently high viscosity to prevent crystallization and a chemically as the union of the non volatile inorganic oxides resulting from the decomposition and fusion of alkali and alkaline earth compounds. Sands and others glass constituents ending in a product with randon atomic structure. Batch preparation and Drawing section. Sizing, Packing and Stacking section. The sand conditioning section/ sand treatment plant was constructed in Belgian technology and materials. The primary raw material for the glass industry is silica. But not any source of sand as silica source would do. The whose silica content is above 95% is used. Sand is a mineral and its contaminants can be removed by mechanical process. The various impurities are clay, iron as oxide alumina and stones. After having been collected the sand is conveyed by means of belt conveyor to a hopper where the sand is channeled to a heap. Then again by means of belt conveyor it is taken to the screen. The whole size of the screen is 1mm. From the screen, the sand is taken by means of a pump to the hydrocyclone. In the hydrocyclone, lighter materials such as dead sand and certain non silica materials are removed. From here it is conveyed to attrition cells where silica, clay and iron are separated from each other. In the next step, this silica source is taken to the classifier. In the classifier, clay is removed. Then by means of a pump it is taken to the magnetic separator. Then the magnetic separator has a north and south pole keeps on rotating. The iron is washed out and on the opposite face from the north pole, the sand drops into a screw conveyor. Now, the silica content is some where is between 97% and 98%. It falls on the ground as a heap where labor, by means of trolleys, carry it to storage. In the warehouse(storage), the silica is heaped. It is kept in this heaped way for72 hours to remove the water. The whole process takes place in three shifts. Within the plant is a dolomite warehouse. Dolomite is found as big rocks or at least embedded in them and extracted by means of dynamite. These pieces of dolomite, quite big in size, may contain some clay. As such it is washed in order remove the clay. Then it is stored. From here the dolomite chunks are taken to the jaw crusher. The crusher reduces the size of the chunks to below one inch. Then it is conveyed to the hammer crusher. The hammers operate to reduce the size of the dolomite to below 1mm. Screening and sieving makes sure that the size in indeed below 1mm. After that the dolomite powder is bagged and stored. The next portion of the industry is the batch section. The section consists of various rooms where the different raw materials are stored. Prepared sand and dolomite from previous process are also stored here. Heavy sodium carbonate, imported from India, china and Pakistan are stored. Feldspar is first crushed by the some jaw crusher used to grind dolomite and then stored in this warehouse. Coal is kept in the warehouse. Sodium is imported so that there is enough of it. The raw materials are weighed, mixed in a mixing machine of capacity of 550kg and then put into the tank furnace. The tank furnace is maintained at a temperature of . 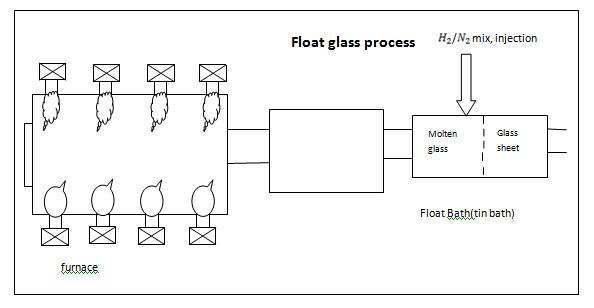 By the float process the glass is drawn as thin sheets where the temperature kept between . The sheets are annealed naturally as they are drawn horizontally. Then the sheets are cut while they are still at a temperature of around . The cutting is achieved by means of steel cutters. Any ruined sheet is broken and recycled as cullet. The glass sheets are then taken to the ground floor where they are packed and stacked, awaiting to be taken to their destinations by trucks. Glass formation takes place (formation by melting of molten glass) in the tank furnace by melting and reaction of the raw materials. The tank furnace is a rectangular tank with walls, floor and roof built of fire clay. 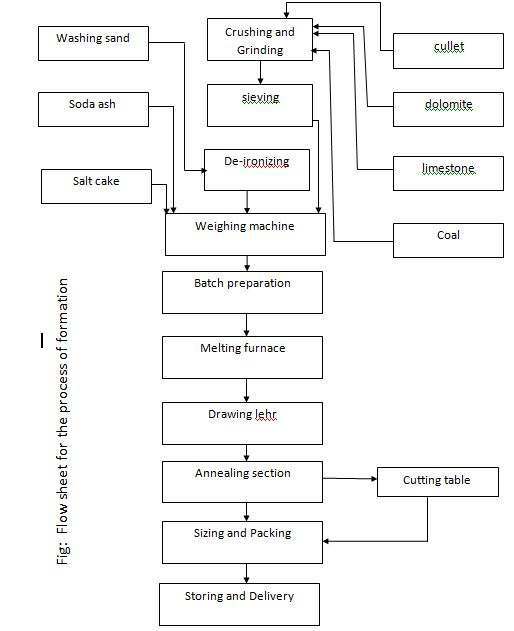 The tank furnace consists of mainly three zones, namely melting zone, refining zone, working/forming zone. In the melting zone, the temperature is maintained at about by burning fuel gase, where all the glass forming materials start to melt and react to form liquid glass, CO and bubbles up. The just formed and viscous glass flow to the refining zone where the temperature is . The molten glass gets refined and the bubbles are freed. The glass then enteres the working zone, waiting to be drawn. The temperature maintained is at around in the working zone. The temperature of the drawing chamber is . The drawing chambe is filled with molten glass and the glass is drawned contineously horizontally. Most of the world’s float glass is now made by the float process developed by pilkington in the early 1960’s with typical line sizes ranging from 350 to 750 tons/day. The hearth of the process is the tin bath where molten glass flows the melting furnace onto a awallow bath of molten tin. It spreads out over the tin form a flat, smooth ribbon. A typical float tank consumes about 1200 to 1500 of high purity of nitrogen and 60 to 100 of high purity hydrogen to provide a reducing and cooling atmosphere for the forming process(tin bath). The hydrogen flow rate is governed by the rate carry over of oxygen and sulfer dissolved in the glass. The more oxygen and sulfer dissolved in the glass, the more hydrogen is required to react with it forming and Nitrogen is used to dilute the hydrogen to a concentration of 4 to 10%. High hydrogen concentrations in the atmosphere would lead to bubbles beneath the glass where the hydrogen would come out of the tin. An additional function of atmosphere is to blanket the exit of the float tank to prevent air in filtration. Nitrogen is produced by a cryogenic on site plant. 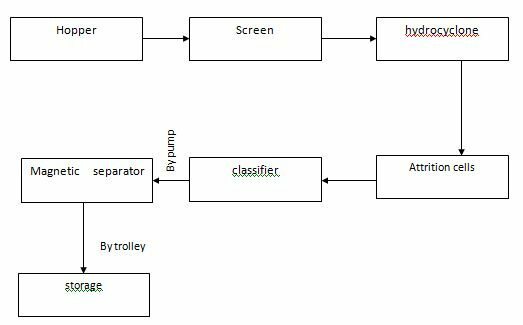 Hydrogen can be supplied from liquid from liquid or gaseous storage and on site plant. If available, pipeln is often the preferred mode of supply. In addition to supplying high purity to nitrogen, supply also generally includes the mixing system to generate the atmosphere according to their specifications. This takes place in a different building. Design is created by means of laying the glass sheets on top of a pattern on a table. Sand powder and water is blasted at a pressure of about 600 lb/sq. Inch from the under side of the pattern. The glass become hazy and the design from the pattern is imported onto the glass various patterns are available. Not all glass sheets are frosted or design upon. If frosting and designing is to be carried out the sheets (having been just cut)is brought to this building where patterns are imported upon then the frosted glass is then packed and stacked. Fuel: The main fuel is natural gas which is supplied by Bakhrabad Gas Field. Electricity: They generate their own electricity since they have their own generators (3-gas turbines and 3- disel turbines). Their six generator provide the required 2-2.5Mega Watt of electricity. Water: They get water from under ground sources by means of pumps. They use deminaralized and ground water. Compressed air: there are comporessor which are installed for compressing air. In the financial year of 2008-2009 the daily production of glass sheet was 250tons per day and the market value of this products is fifty lakh taka per day. The quality and the quantity of products are very good. That is why the products are exported to various foreign countries like India, Pakistan etc. The demand for glass sheets is increasing gradually. To stisfy the growing demand, the company wanted to expand the factory of glass and also produce the laminated and pyrex glass.